Beautiful, sunny skies are expected this weekend in Big Bear Lake with temps in the 50’s. Perfect weather to hit the slopes, go snow tubing with the kids, or stroll through the Village to do some holiday shopping. If you are planning on heading up for Thanksgiving week and are hoping to see some snow, chances are looking good for a storm starting Wednesday. 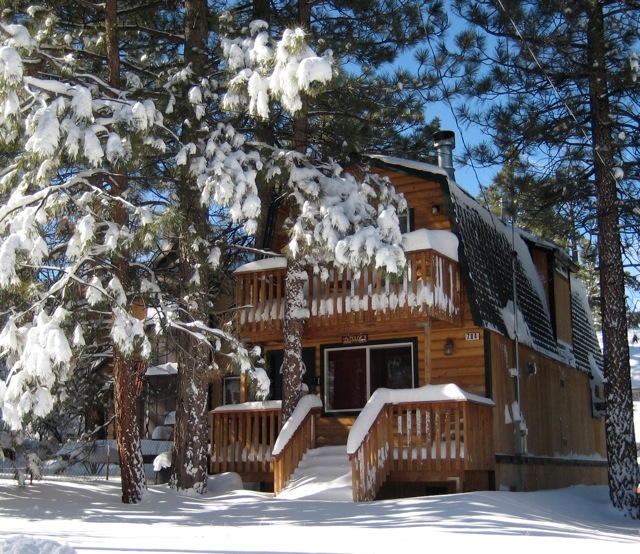 Thinking of spending Thanksgiving weekend in Big Bear, but haven’t made your reservation yet? It’s not too late to find the perfect cabin and as a bonus, we have a couple of amazing deals happening now! Visit RSVacations.net today to book your Big Bear Cabin for Thanksgiving before they’re all gone! *These specials are available on NEW reservations only and cannot be combined with any other discount. Arrival and Departure must be between 11/26-11/30/14. Other restrictions may apply.